The Academy of St Martin in the Fields is a spectacular British chamber orchestra located in the capital of the UK, the city of London. This amazing English chamber orchestra is made up of the most talented and acclaimed classical musicians in the UK and has established itself as a group behind the best there is in classical music. This isn’t just any new and emerging group; it is a group that has over half a century of history behind it and a group that has become an internationally renowned name in the world of classical music. 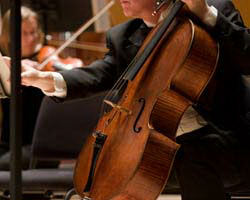 Hailing from London, England within the UK, this chamber orchestra was founded in 1959 and has been active since then. It is presently signed onto the record label Argo and has formerly been signed onto the record labels Capriccio, Decca, Chandos, EMI and Philips. This is truly an orchestra to be seen live if awesome classical music is what one is after, provided Academy of St Martin in the Fields tickets are in hand. Academy of St Martin in the Fields, an amazing chamber orchestra haling from the famous city of London, is made up of a core team of renowned figures in the world of classical music. The life president of this chamber orchestra is Neville Marriner whereas its music director is Joshua Bell. The principal guest conductor is Murray Perahia, the artistic director is Kenneth Sillito and the chorus conductor is Johan Duijck. This London orchestra is also known by its initials, ASMF, and is home to a rich legacy and history that has its beginnings rooted over fifty years ago. In 1959, this amazing orchestra was formed by Sir Neville Marriner. At the time, it was started as a conductorless string group with the name inspired by the St Martin in the Fields church located at London’s famous Trafalgar Square. It was at Trafalgar Square that the Academy of St Martin in the Fields performed its first live concert, a tradition it was to continue for many years. In 1971, this chamber orchestra was registered as A.S.M. Orchestra Limited and had Sir Neville Marriner as the chairman. In 1992, Malcolm Latchem took over as the chairman with Sir Neville Marriner honored as the Life President of the Academy of St Martin in the Fields. The first performances of this group at the St Marin In The Fields church as a string orchestra resulted in the revival of a unique form of music in England; baroque. The baroque live performances of this chamber orchestra became immensely popular and soon the group included winds in its performances. Today, the Academy of St Martin in the Fields consists of a very amazing repertoire that is filled with baroque works as well as more contemporary works. The orchestra is itself divided into three different sections. The first is the main group whose conductor is Sir Neville Marriner. The second is the chamber ensemble which performs large scale string sections and whose conductor is Kenneth Sillito, also the artistic director. The third section was specially formed for touring all over the UK, the US and many other parts of the world. When it comes to recordings, Kenneth Sillito and Iona Brown have both led this English chamber orchestra which has churned out many commercial recordings. Indeed, such recordings are usually made up of the finest in classical music and usually make many a person go on to get hold of Academy of St Martin in the Fields tickets and then go watch this London orchestra live in action. When it comes to recordings, the Academy of St Martin in the Fields chamber orchestra has recorded for labels such as Argo, Chandos Records, Capriccio Records, Decca Records, Hänssler Classic, EMI, Philips Records and Hyperion Records as well as played the soundtracks for movies such as the legendary Titanic film, The English Patient and Amadeus; an orchestra that recorded music for the Titanic film is no ordinary orchestra. This is also a group responsible for singing the UEFA Champions League Anthem, regularly seen live on TV. Q:At what price are you offering academy of st martin in the fields tickets? A:We are offering Academy Of St Martin In Fields Tickets on comparatively cheap rates with special offers. Check out the instructions and place the order right away.